Steamed Buns: Siopao and Cuapao ~ I Can Do That! This is my third post on siopao and cuapao and the longest one yet. I hope I won't bore you to death. I didn't include the recipe on the first post and the link to the recipe for the cuapao sandwich post no longer works. The reasons it took this long for me to share my recipes for the fillings are: first, I don't follow any recipe for the pork bola-bola (ground pork) and second, the pork or chicken asado I make is not the typical recipe for these Filipino-Chinese steamed buns. I thought my readers might not like or be interested in them but I got a few inquiries and decided to share my recipes for cuapao and siopao fillings after all. 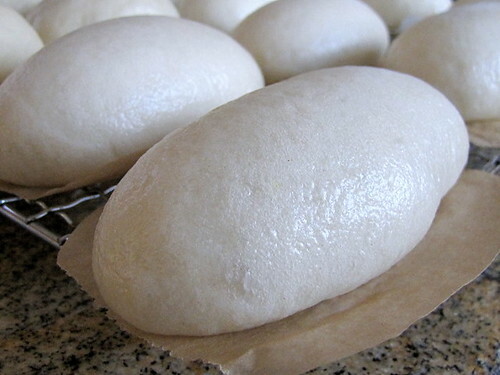 Cuapao and siopao use the same dough recipe but they differ in shape, cuapao oblong and siopao round, and fillings. 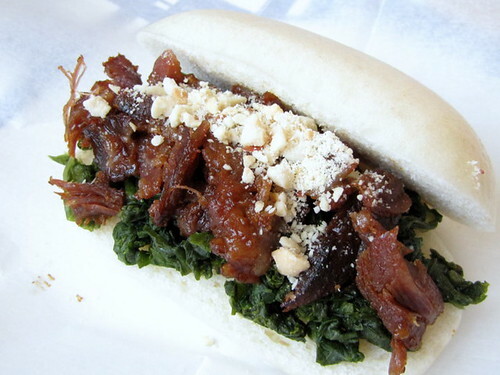 Cuapao has fermented mustard greens [burong mustasa in Tagalog], Chinese roast pork, chopped peanuts, and hot sauce which is optional. I started making cuapao at home because they are unknown in my neck of the woods and after reading the article in the Yummy magazine I always steam the buns without the filling. I find it easier to shape and as a sandwich I can put as much filling as I possibly can, which is always a good thing. Fermenting mustard green takes about 2 weeks, but if you prefer the greens fresh or can't wait, blanch them in boiling water, dry them in a salad spinner, add sea salt to taste, then roughly chop. It will still be tasty and spicy but will lack the familiar sourness of the fermented greens. The greens are delicious as a side to fried fish and also in sour soups (sinigang). In a small bowl, mix 2 tablespoons sugar and ½ cup of the warm water, stir and add yeast, mix well, let stand for 10 minutes. In a stand mixer bowl with paddle attached, mix flour, sugar, baking powder and lard/Crisco. Add the yeast mixture and the rest of the warm water. Mix for 1 minute. Replace the paddle attachment with dough hook and knead for 2 to 3 minutes. Transfer to a lightly greased bowl, turn the dough so that greased side is up, cover tightly with plastic wrap and let rise for 1½ hours. Remove bubbles by lightly kneading; into 16 to 18 pieces. Cut rectangular shaped parchment papers, set aside. Shape dough pieces into oblong (or round if making into siopao) placing each on the parchment paper. Cover with plastic wrap and let rise for 30 minutes. Steam in rapidly boiling water for12 minutes (15 minutes if filled). Wash the leaves very well and spin dry. Cut into 2 inch pieces and place on sheet pans. Leave them out under the sun for about 2 hours to wilt and dry them a little bit. Or put them in a 180°F oven for 1 hour. 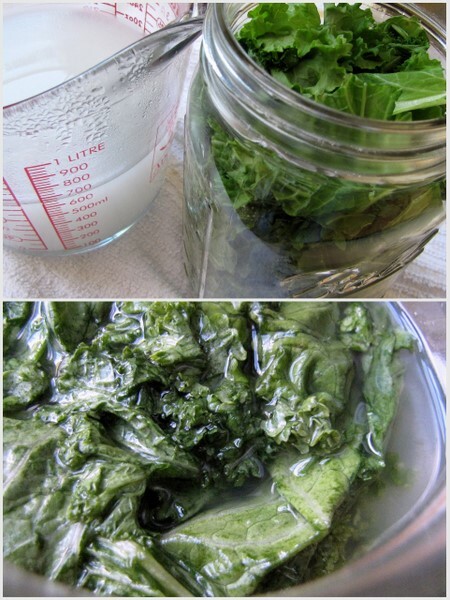 Pack the leaves in the jar, pressing slightly to accommodate all the leaves. While the leaves are drying, wash the rice and drain. Place in a large pan, add the water and let come to a boil. Lower heat, cover, and simmer until grains have swelled, about 30 minutes. Strain the rice broth into a measuring cup. You should have 4 cups. Add the salt and stir until dissolved. Let cool to room temperature. When the salted rice broth has cooled, pour into the jar. Cover tightly with plastic wrap and put its lid on. Leave on the kitchen counter for 7 days or until the mixture tastes acidic and the leaves have turned a teensy bit yellowish but still crispy. If your kitchen is cold like mine, it may take more than 2 weeks to ferment. Store in refrigerator for 2 more weeks for best flavor and until ready to use. Cut the pork into thin strips lengthwise. Mix together the brandy, sherry, soy sauce, and hoi sin sauce. 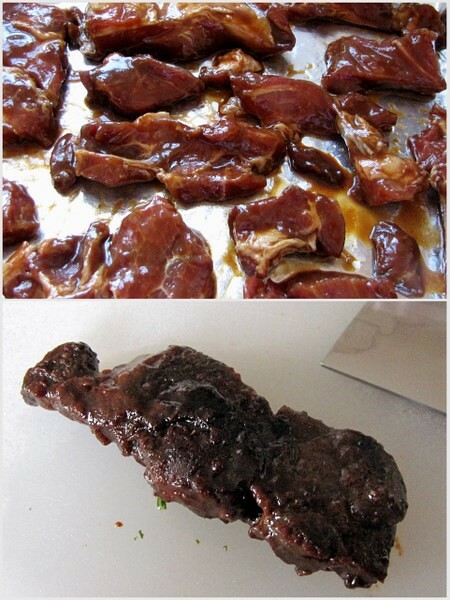 Marinate the pork slices for 2 hours or overnight in the refrigerator. Preheat oven to 400°F. Lay the strips on a rack and set on a baking sheet lined with aluminum foil. Roast for 45 minutes. Remove from oven and let rest for 3 minutes. Brush tops with honey, return to oven, and roast for 4 minutes. Remove from oven, flip over the slices, brush with honey, and return to oven. Roast for 2 more minutes. Serve warm or at room temperature, or flake the meat to fill cuapao. Mix first 5 ingredients. Divide into 8 portions and form into balls. 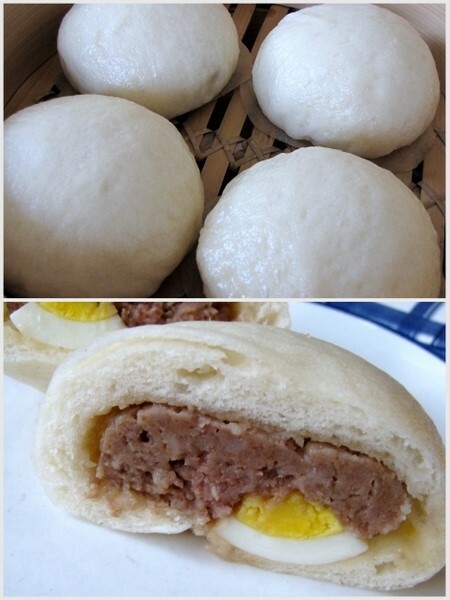 Place one ball in the middle of a round flattened 3-ounce siopao dough piece, add 2 slices of sausage and a slice of egg. Gather edges of dough and pinch to seal. Place on cut parchment paper seam side down. Let rest for 45 minutes, covered with plastic wrap. Steam in bamboo steamer over rapidly boiling water for 20 minutes. Enjoy hot with your favorite hot sauce.